PRE-ORDER NOW, PAY WHEN YOU PICKUP! Vanilla custard makes up the bottom and top layers of this pie, with a middle filling of fudge, caramel, and roasted/salted pecans. 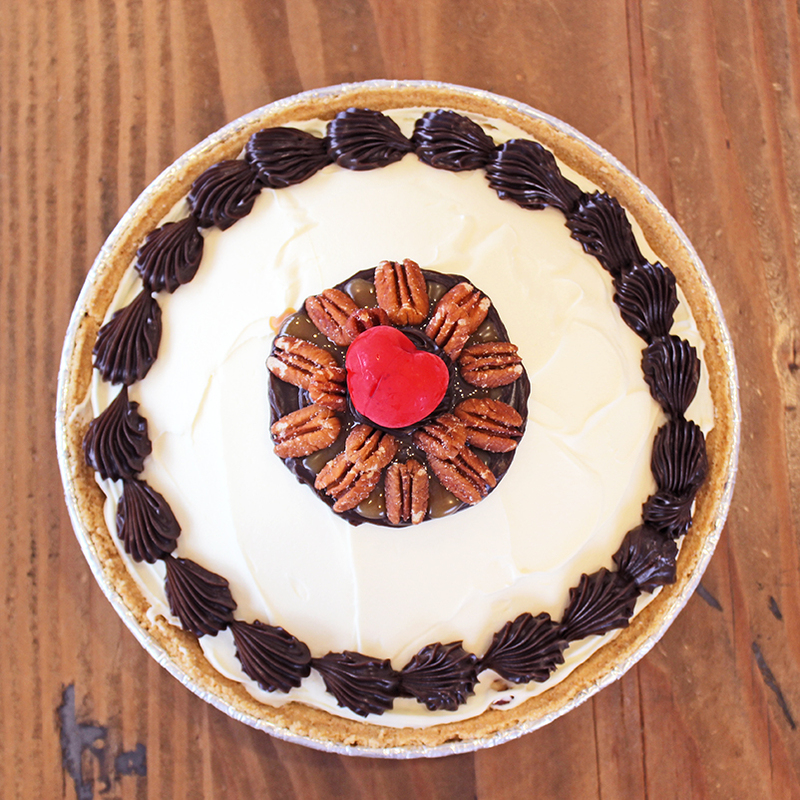 Our turtle pies are made in a graham cracker crust and decorated with a fudge border and a fudge/caramel/pecan garnish. Our cakes and pies are handmade in layers and take 3 days to complete. Rush orders are available. The link above will take you to a Preorder Request Form where you can add inscriptions and make changes to your cake or pie. You will pay when you pickup your cake or pie. We make cakes and pies every day of the week from 11am to around 4pm. You can also call us to place your preorder at (815) 459-9117 during our regular store hours.